I couldn't believe my eyes when I first saw the advertisement for Gary Numan, especially when he was booked to play such a small venue. I've waited to see Gary Numan longer than I've ever waited to see any other artist. Since early 1979 when he first came out with "Are Friends Electric?". Everyone else I spoke to at the gig said they remember his first mark in the industry with "Cars". Either way, the crowd was good. About 200, which was nice for this pub. I was forewarned way in advance that Numan's music wasn't like the way that l remembered it. That these days he is more like Nine Inch Nails, maybe Ministry, etc. True, to an extent. Today, Numan's music is more in the industrial direction. But you might want to keep something in mind... that his sometimes trademark whiny-like vocals make his music today like 'new wave industrial'. After waiting so long to see this man out on tour, I wasn't the least bit disappointed. Not at all. Numan's five piece band played a very professionally done ninety minute set that. To me it was pretty much flawless. He'd done a total of five old tracks and the rest of the material was from his later day repertoire. A total of sixteen songs. He started off with "Pressure", "Rip", "Metal", "Halo" and "Films". Some of these tunes, at the time I was totally unfamiliar with, like "Jagged", "In A Dark Place", "Haunted" and "Prayer For The Unborn". As I fished around for info on the internet, I discovered that this tour's setlist was pulled from the following CD's: 1979's "Pleasure Principle", 1998's "Dark", 2000's "Pure" and his newest offering, 2006's "Jagged". To be honest, there isn't all that much of a difference between his really old stuff and his newer material. Which of course is a good thing. His equipment set-up had like maybe four laser-lighting bars that would change color in order to synchronize with the music. Truly a lasting experience that'll live in my memory for a long time to come. Later came the previously mentioned "Are Friends Electric?" and the encore "Cars","Dark" and "Blind". 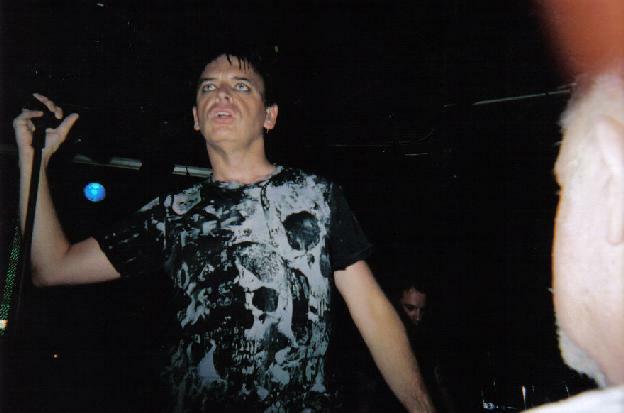 Would love to see Gary Numan again sometime. Hopefully next time it won't take 27 years.